In today’s publishing world writers need an Author Platform.If you’re ready to work on your platform (or want to know what an Author Platform is), join us for this interactive slideshow presentation by Orit Ofri, the Online Presence Coach, who will take us through the steps of building the author website and social media presence. We’ll cover the mindset of building your platform, the essential pages for your author website and what to put on each, Facebook and Twitter for authors, and creating ongoing content (even if you have a life). After learning what a platform is, participants will be given clear, simple, practical guidance so they can set up their author platform, connect with their ideal readers, and have some fun along the way. Participants are encouraged to bring a computer though it is not required. 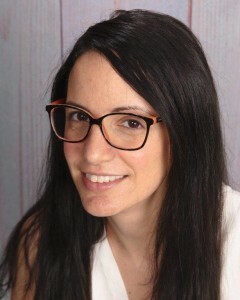 About our Speaker: Orit Ofri helps early stage companies, freelancers, writers, and nonprofits engineer a brand strategy that will make starting and growing their business and online presence easy and fun. Her motto is start simple & grow as you go. She was president of Writer’s on the River, co-chair of the Salem chapter of Willamette Writers and is now the president of Willamette Writers. Visit oritofri.com and follow @OritOfri on Twitter to learn more.